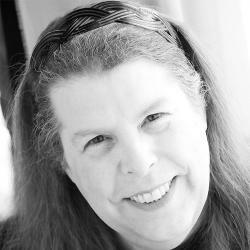 Columnist Cheryl Costa discusses the statistics of wedge-shaped UFOs in New York state. This past year I’ve been laboring at an in-depth look at UFOs in the USA. The project is called, “The Nationwide UFO Magnitude Study.” The work has been twofold: develop a set of good UFO statistics for the country and to support the reporting work of this weekly column. Using numbers from my study, I’d like to offer an analysis of wedge-shaped UFOs in New York. Wedge-shaped UFOs are defined as: boomerang, chevron and triangle-shaped objects. The database I am using for this study is one made from the combined data from the National UFO Reporting Center (NUFORC) and from the Mutual UFO Network (MUFON). The combined and scrubbed database listed a total of 6,076 New York UFO sightings from 1900 through the end of 2015. The sample period for the nationwide UFO study was from stable data period from 2001 through 2015. The UFO sightings total for New York state during the sample period was 5,141 sightings. In terms of wedge-shaped UFOs, the first recorded in New York was in Ithaca in 1930. The Tompkins County sighting was reported as a triangle. The second sighting of triangle-shaped UFO was in 1962; it was reported in Bethpage in Long Island’s Nassau County. Before we get too bogged down in early sightings, it’s important to note that it is difficult to use UFO sighting numbers for analysis much before 1995. The problem is because reporting methods weren’t centrally collected. Oh yes, the United States Air Force did have Project Blue Book, but most of its data was on paper reports and was not easily accessible by the general public. In the early 1990s the internet started to become a viable tool for reporting UFO sightings. In the early 21st century, MUFON and NUFORC both introduced web interfaces for reporting UFO sightings. Since the UFO sighting data began stabilizing around 2000, we decided to use a stable sample period for our study, clearly grounded in 21st-century sightings. In the 2001 to 2015 sample period, New Yorkers reported 536 wedge-shaped UFOs. So let’s break down some of the wedge-shaped UFO numbers for New York. The all-time and sample period count for boomerangs was both 42, meaning that all the boomerang UFOs were reported during the 15-year sample period. Chevron shaped UFOs in the Empire State tallied 105 for all-time and 80 for the 15 year sample. Seventy-six percent of the chevron UFO sightings in NY occurred during the 15 year sample period. Triangle-shaped UFOs were by far the most commonly reported wedge-shaped UFO in the state. Triangles all-time in New York tallied at 532, the 15-year sample totaled 414. Seventy-seven percent of the triangle UFO sightings occurred between 2001 and 2015. June 12, 2016: At 7:45 p.m., a visitor at Kirk Lake reported three flying disks over the lake. June 13, 2016: At 9:45 p.m., a resident of Fultonville observed a blue and white light that circled the area then shot straight up and vanished. June 17, 2016: At 9:40 p.m., a resident of West Babylon reported eight pulsing orange-red balls of light flying near the JFK airport moving in patterns unlike conventional aircraft. June 19, 2016: At 10:00 p.m., a resident of New York City observed a circular object with a flashing red light that turned quickly in an abnormal manner before vanishing.